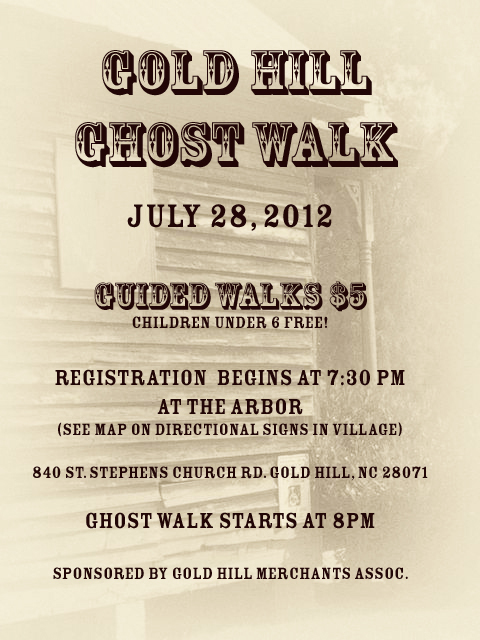 Join us on July 28th for our Ghost Walk. Your guides will take you to each location to hear the tales of our local ghosts. Registration is $5 each and begins at 7:30 at The Arbor (behind the Bakery and beside Back Home). Children under 6 are free!. Click on photo below for all the details.